In my 2012 Audi A7, there was an adaption setting to change the MPH when the rear spoiler deployed. Has anyone hacked the adaption codes to find that setting? Nope. No one has figured this out yet. I wish someone could! People have put a switch in to manually raise/lower it and have disconnected it all together. I hopped on Topix today and downloaded a bunch of manuals. Was looking for adaption settings but to no avail. next I will sign up for a day of SDD/ diagnostics. I've also reached out to a level 4 Jaguar tech to see what he was taught. I would like to start a thread on how we can truly customize the settings on the F-Type! Stay tuned...now, back to working on my e-type...May is just around the corner! There is a thread or post around here somewhere about this, but long story short I asked our resident SDD expert Cambo the same question a couple of years ago and he advised that there was no such option available in SDD, not even in engineering mode, and the computer code which controls the speed at which the spoiler deploys is almost certainly buried very deep inside one of the many modules, so deep that no-one can access it. 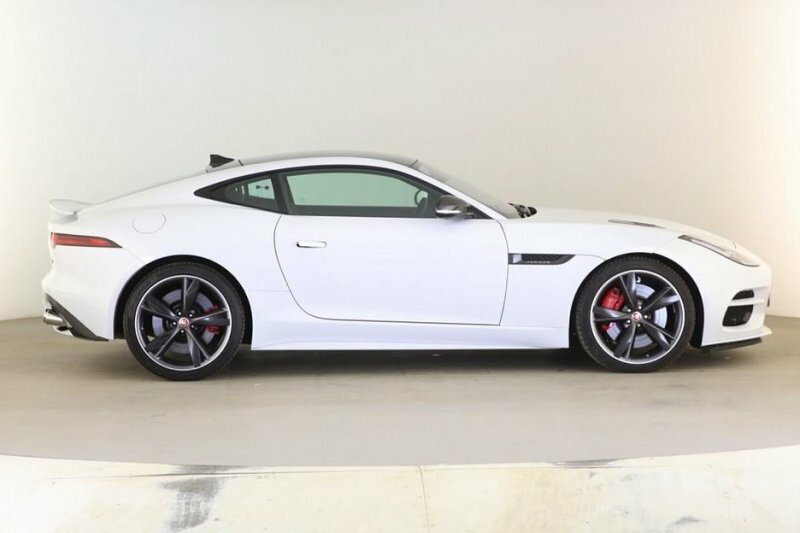 The spoiler on the F-Type (coupe or vert) isn’t particularly attractive. It serves a functional purpose only. I wouldn’t try to second guess the design engineers’ calculation regarding the speeds at which the spoiler deploys and retracts. My 2014 has a button to raise and lower. I leave it raised all the time. Just looks better to me. I don’t really care how it looks to everyone else. True. We have no control of the spoiler at any speed greater than a standstill. For that matter, I have no control over anything, ever. If only I knew an average 13 year old, I'd have him or her hack the appropriate module and change the constants from 70 and 50 to 35 and 25. Alas my skills are outdated and I no longer possess the technical prowess to do such code changes. The last code I patched was for a COBOL compiler. Don’t feel bad. What you can program with less than a couple megabytes takes that 13 year old several gigabytes. I'm wondering if the spoiler is controlled by the main ECU, or if there is another computer for the spoiler motor or something? The EU models have full control of the spoiler regardless of speed, maybe we just need to find the right piece that allows us the control over the spoiler to replace? Are your sure the EU models have full manual control? Coz my car is effectively a UK model and it has zero control other than when the car is stopped. Here’s an F-type network diagram. I would think multiple modules are almost certainly involved. Good luck! For sure! The first mainframe I programmed for was an IBM 1401 Model G, G being the enhanced version which sported a whooping 15,999 bytes of addressable storage--that's right 16K! Card reader input and tape drives that recorded data at 226 bytes per inch; chain printer that printed at a mind boggling 650 lines per minute. We still got all of our applications done, although now it's hard to fathom how. I can still remember attending symposiums where Cdr. Grace Hopper was the guest speaker. She is who I learned where the term "bug" came from in the computing environment.